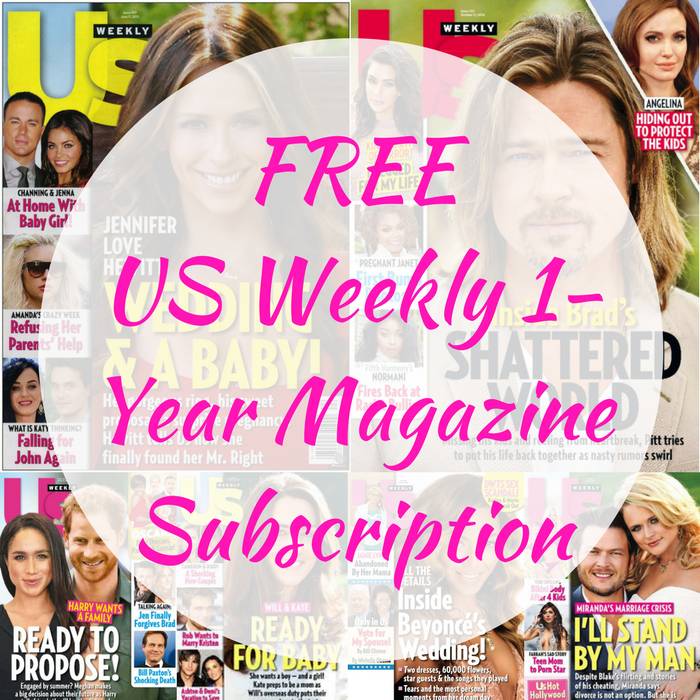 FREE US Weekly 1-Year Magazine Subscription! You are here: Home / FREEbies / FREE US Weekly 1-Year Magazine Subscription! We have a rare FREEbie for you! Click here to score a FREE US Weekly 1-Year Magazine Subscription by just simply filling out 2 short surveys – no credit card information needed! Expect your first issue to arrive within 8-10 weeks! This won’t last long so hurry and get your FREEbie now!